Ingredients: Active: Benzethonium Chloride 0.10%.........Purpose: Antibacterial. Inactive: Water Cetrimonium Chloride, Glycerin, Lauramine Oxide, Lauramidopropylamine Oxide, Sodium Chloride, Fragrance, PEG-120 Methyl Glucose Dioleate, Cocamide MEA, Citric Acid, Sodium Benzoate, Tetrasodium EDTA, Blue 1, Red 33. Best Soap on the Market ! Many people say that we overuse Anti-Bacterial Soap. Oh well - they can have their opinion - but I'll still use this soap. This Soap is the BEST and I am downright PICKY. I have had trouble finding Walmart Store keeping it in Stock - so I purchase it online. If you buy $50 or more (total order) - Walmart will ship everything to your door free of charge. Great deal period. 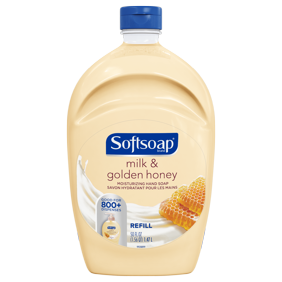 This soap smells nice, works good, and is a good value. It came nicely boxed and sealed. I will purchase this from Walmart again. Washing hands often has been proven to prevent sickness from germs. I don't want a soap that just washes away some of the germs. Dial Antibacterial Hand Soap kills 99.9% of the germs. Another plus is that Dial Spring Water Hand Soap also has a pleasant fragrance. 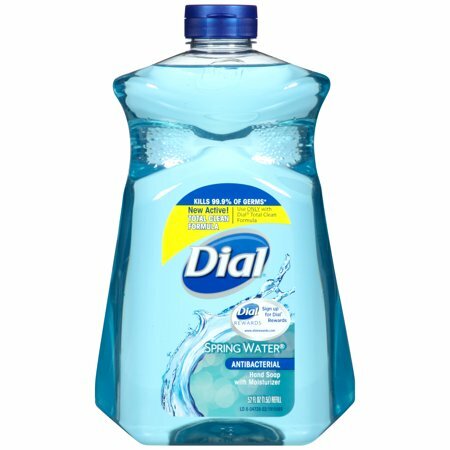 When I'm finished washing with Dial Antibacterial Soap my hands feel clean and refreshed, and I feel more confident. This soap has a pleasant, fresh scent. Most of the orange antibacterial soaps have a strong, unpleasant, medicinal scent. The Dial Antibacterial Spring Water hand soap has a pleasant, fresh scent. Walmart's price for the 52oz size was a great value when compared to other online and supermarket prices. Will definitely purchase this through Walmart when I'm ready to buy again.